See all of the contributions we've made to the Croton School District. Specialized cameras in the CHHS Television Studio give students the ability to stream any event in the school live. Students gain industry skills working with cutting edge technologies that allow more people to view events in real time from any location. Now events like the Senior Awards ceremony can be seen anywhere as they occur. The new filming equipment also allows remote access to the filming process from the main studio enhancing production values. View students work on the CHTV YouTube Channel: https://www.youtube.com/channel/UC1mEILncA_GDPnuRr-o7KnA. AP Environmental Science classroom exploration of the importance of biodiversity and pollinators' role in healthy ecosystems prepares students for fieldwork research using insect traps at Teatown or another local preserve. Students analyze data, prepare lab reports, and study possible solutions. Chrome books are available for students throughout the Croton Harmon Options and Opportunities Senior Experience, also known as CHOOSE. They will be used during student informational meetings in the fall, weekly instructional meetings in the spring, and for student CHOOSE presentations to the community at the end of the school year. The technology enhances communication between students, mentors, and community members. Two new 3D Printers now give all PVC students direct access to printing out their work, whether for class projects or through the Coding and InDe student clubs. Additionally, each student in the 7th grade will be able to access the 3D printers for a project, allowing 130 items to be printed. These students will be exposed to the engineering and design process in a tangible and meaningful way. Students can now witness their projects come to life in the InDe lab and spark new learning an ideas! Dash and Dot are programmable robots that work with our existing iPad apps. Challenge cards allow for hands-on challenges and moving students through the iterative process while allowing for innovation. This grant enabled Third Grade students with various needs to use legos and learn to work together and follow directions while overcoming internal and external distractions. 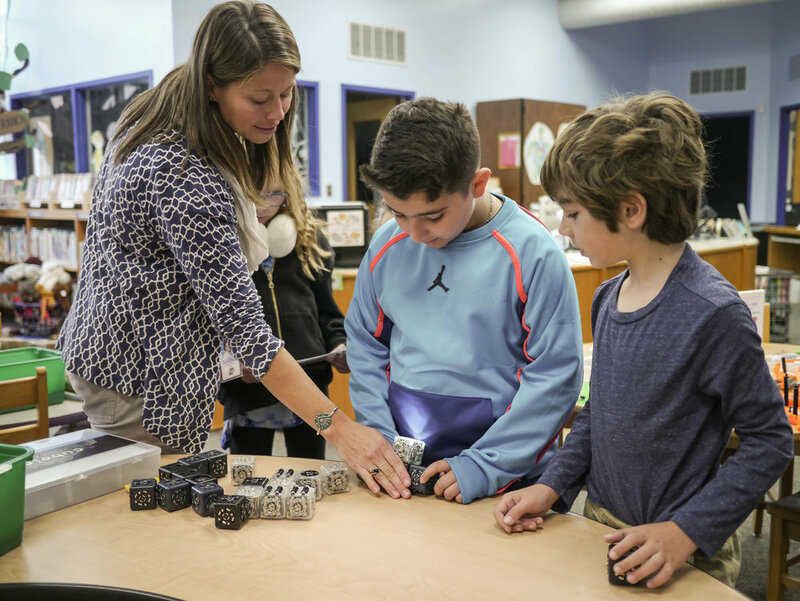 Students work in groups to build, program, and control Lego robots. This grant has enabled the High School to outfit its new collaborative learning space with cutting-edge equipment, including the Nureva Span collaboration and projection system and flexible, re-configurable furniture. The Nureva Span system turns the computer lab into a learning hub and encourages innovation, collaboration and critical thinking. This system allows students to brainstorm together and showcases student work. The Nureva Span collaboration and projection system in action. Funding for storage units for INDE lab projects. Children work on their projects at the INDE lab. CHEF funded yoga sessions in which First Grade classes participate twice a month. Experienced yoga teachers lead the children in stretching exercises along with relaxation and mindfulness practices. CHEF funded the Flexible Seating Initiative. Why flexible seating? Children learn about the world using many senses; we often forget about the importance of touch and movement. By using kinesthetic tools such as unconventional seating, students are more focused in their learning activities. Classrooms are now outfitted with different types of flexible furniture, allowing students to move as they focus on their classwork. Children learn coding by building with blocks that move and light up depending on their sequence. CROTON-HARMON EDUCATION FOUNDATION IS A NON-PROFIT 501(C)(3) CORPORATION.